Remember in the Park, you are responsible for yourself. Given that the New England Outdoor Center – NEOC is closer to the south entrance (the main entrance to the park) at the Togue Pond Gate we usually recommend hikes in the southern part of the park, the north end of the park is also truly beautiful with great day hikes and worth a visit if you have time. 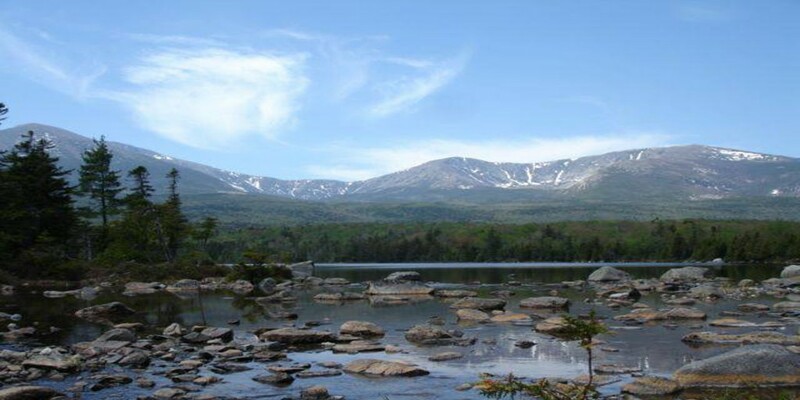 Katahdin Stream will bring you up the Hunt Trail to the tableland – and from there to the peak. How long will it take? it depends a lot on all the above – plan 12+ hours round trip and if you do it in less – good for you. The Owl is a good hike also assessed from Katahdin Stream – shorter than a hike to the summit and somewhat challenging the last 1/3rd it afforded great vistas over the Debsconeag lakes and to the West. South traveler is a great hike from Roaring Brook – a bit of a kicker in terms of effort as it can be challenging as the grade is fairly steep the top 1/2 to 1/3rd. 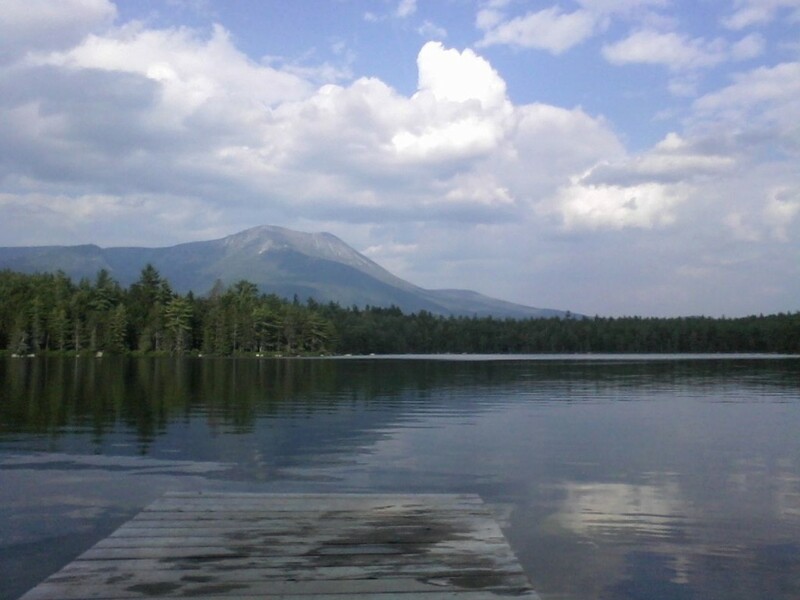 The views onto Katahdin are worth it. Sentinel Mountain – accessed from Kidney Pond or Daicey Pond is a great hike and nice views, again a bit of effort will be required to complete the last 1/3rd of the hike. Double Top – accessed from Kidney Pond is a good day hike also – pretty steep as you will be able to see from the distance, as the mountain shoots up and has a rather flat top with a small peak at either end of the top – hence the name Double Top. Daicey Pond and Kidney Pond both have lovely trails around them and some shorter hikes that are less strenuous – such as the hike to Niagara Falls, not even a resemblance of it’s NY and Canadian counterpart, still is enjoyable and pretty loud but relaxing. All hikers in the park are responsible for their own welfare and decisions. Pets or large vehicles are not allowed. Hike only on the trails, “Leave No Trace” rules apply and carry out what you carry in. Use good judgement, lots can change when you are out on a hike, respect wildlife, be prepared and if you are in harmony with the environment around you, you can have an escape that is more and more rare in this busy, busy world.